Hawk watching at Holiday Beach or Point Pelee can be very productive during October. Raptors, vultures and crows can be seen in large numbers when the winds are out of the north (NW N or NE) and sunny skies permit the formation of warm updrafts called thermals. Current wind conditions can be found on the internet for the Great Lakes and Detroit region. Saturday, October 30: Highlights of the Ojibway field trip to Point Pelee today included a jaeger at the tip (possibly a Pomarine), Hairy Woodpecker at Dunes Picnic Area, several Common Buckeyes, Monarchs, Red Admiral and sulfur butterflies, Green Darners and Black Saddlebag Dragonflies. Large numbers of crows, blackbirds, mergansers and Bonaparte's Gulls were moving at the tip along with smaller numbers of American Pipits, Eastern Bluebirds (14), Black-capped Chickadees and Red-breasted Nuthatches. Glenn Gervais reported a Parasitic Jaeger on Lake St. Clair at Pike Creek and Allen Chartier counted an amazing 1250 Ruddy Ducks at Holiday Beach. Wednesday, October 27: Holiday Beach set a new one-day record for Golden Eagles today with 34 birds seen over a four hour period! Monday, October 25: The majority of Golden Eagles are seen at Holiday Beach in late October and early November. One was seen on Saturday and three were seen on Sunday. The OFO field trip to Holiday Beach on Saturday missed the eagle but was lucky enough to find the first Long-eared Owl of the fall along the nature trail near the park entrance. At Ojibway Fred Urie found 13 Fox Sparrows and the first Northern Shrike of the season at Black Oak Heritage Park on the 21st. Late butterflies that day included a Common Buckeye and Eastern Comma. There were still 12 Great Egrets at the mouth of the Canard River on October 19. Large numbers of Canada Geese rest on the river at this time of year. Four white phase Snow Geese were with the other geese on Saturday, October 23 but the egrets were not reported. Friday, October 08: Early to mid October is the peak time for Turkey Vulture migration. 2,093 vultures were seen yesterday from the hawk tower at Holiday Beach. This species has become much more common over the past thirty years. In 1974 only 1,128 vultures were recorded during the entire fall migration at Holiday Beach. Monday, October 04: 143 members of the Ontario Field Ornithologists met this past weekend at Point Pelee. Field trips on Saturday and Sunday were rewarded with some great sightings including an immature Peregrine Falcon perched beside the tip trail, leisurely plucking a Gray Catbird (early October is the peak period for Peregrine migration at Pelee). 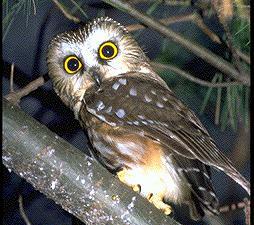 The first Northern Saw-whet Owl of the fall was found in a small red cedar near the tip on Saturday. Fifteen species of shorebirds were found Saturday and 16 species of butterflies were recorded along the west beach. Over 1000 Monarch Butterflies were clustered together near the tip on both mornings. The best locations for shorebirds included the mudflats at the Sanctuary Pond overlook and Sturgeon Creek behind the Pelee Days Inn. Click here for September 1999 sightings.